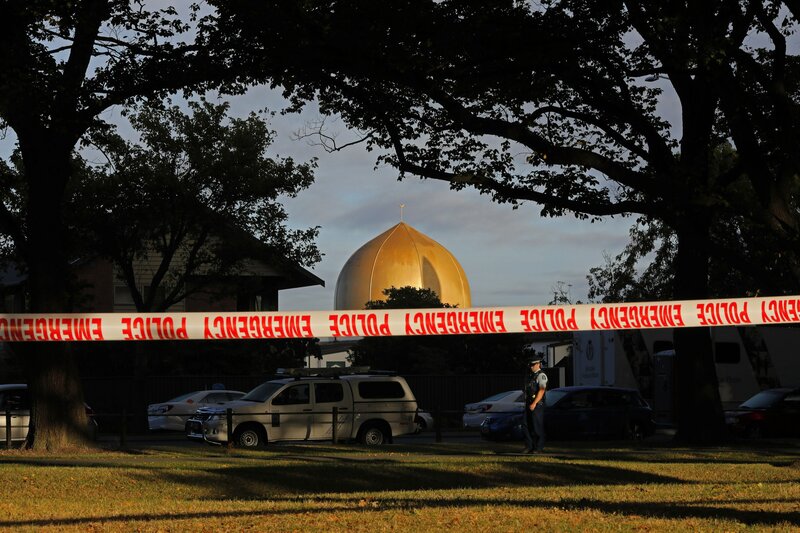 DUBAI, United Arab Emirates — New Zealand Prime Minister Jacinda Ardern has been hailed on social media by Muslims around the world for her response to two mosque shootings by a white nationalist who killed 50 worshippers. She wore a headscarf at the funerals in line with Islamic custom and swiftly reformed gun laws. Yet for many Muslims, Ardern’s most consequential move was immediately labeling the attack an act of terrorism. For too long, terror attacks have been depicted as a uniquely Muslim problem, with acts of violence described as “terrorist only when it applies to Muslims,” said Abbas Barzegar of the Council on American Islamic Relations. He works on documenting and combating anti-Muslim bigotry and Islamophobia. “We’ve got an issue in this country where anytime a violent act is committed by a Muslim, the media starts at terrorism and then works backward from there,” added Colin Clarke, a senior research fellow at The Soufan Center, a New York-based think tank. It’s the opposite when the shooter is non-Muslim and white, said Clarke, who’s spent his career studying terrorism, particularly Muslim extremism. The gunman in the New Zealand massacre called himself a white nationalist and referred to President Donald Trump as “a symbol of renewed white identity.” Australian Brenton Tarrant, 28, has been charged with murder in the attacks. Trump expressed sympathy for the victims, but played down the rise of white nationalism around the world, saying he didn’t consider it a major threat despite data showing it is growing. “It’s really important that this attack not be dismissed as some crazy lone wolf, isolated incident,” said Dalia Mogahed, who leads research at the Institute for Social Policy and Understanding, an organization that focuses on research of American Muslims. “I think it needs to be seen as … a symptom of a wider problem, a transnational rising threat of white supremist violence where anti-Muslim rhetoric is the oxygen for this movement,” she said. “I don’t think anyone can deny that the entire War on Terror has fed into this idea (of) Muslims as a threat, as ‘the other’, as inherently violent,” Hasan said. Clarke, the terrorism expert, said he’s been called to testify on Capitol Hill three times in the past two years about jihadi terrorism. “Where are the hearings about right-wing violence?” he asked. Meanwhile, sectarian, cultural and ideological differences among the world’s Muslims complicate efforts to uniformly push back against negative stereotypes — including the perception by some that Islam condones or encourages violence. Such biases have been exacerbated by multiple attacks by Islamic extremists in European capitals and by years of conflicts that seem to pit Sunni and Shiite Muslims against each other. In the Middle East, the victims of extremist violence have often been fellow Muslims, targeted by groups like Islamic State or al-Qaida because they don’t share their hard-line ideology. Las week, Turkish President Recep Tayyip Erdogan stirred controversy when he was seen as politicizing the New Zealand attacks to galvanize Islamist supporters during a campaign ahead of municipal elections. The attacker had livestreamed the shootings on social media, and Erdogan screened clips of the attack— despite New Zealand’s efforts to prevent the video’s spread. Mogahed, who co-authored a book called “Who Speaks for Islam: What a Billion Muslims Really Think” based on interviews with tens of thousands of Muslims around the world, said it’s important to ask whether someone needs to be speaking for Islam, particularly when other groups of people are afforded the presumption of innocence when horrific acts are carried out in their name.